New Delhi: “The game must go on”, the Supreme Court said on Thursday and appointed senior advocate P S Narasimha as mediator for resolving pending disputes related to cricket administration at the BCCI. A bench comprising Justices S A Bobde and A M Sapre also restrained all other courts in India from entertaining or proceeding with any matter pertaining to Board of Control for Cricket in India (BCCI) and state cricket associations till Narasimha submits his report in the court on the disputes. “P S Narasimha, the amicus curiae, is appointed to act as mediator in relation to any dispute raised in the applications before us,” the bench said. It said Narasimha, assisting the court as an amicus curiae in the BCCI matter, will hear the parties on the issues raised by them and make recommendations to the court-appointed Committee of Administrators (CoA) for BCCI. “In case the parties are not satisfied, this court will hear the matter,” the bench said and asked him to look into the issue raised by several cricket associations about release of funds to them and make appropriate recommendations to the CoA. Narasimha told the court that former apex court judge Justice (retd) D K Jain has assumed charge as the BCCI ombudsman. He said Lieutenant General Ravi Thodge, who was appointed as the third member of CoA by the top court on February 21, has also taken charge. Senior counsel Kapil Sibal, appearing for a state cricket association, told the court that it has complied with all the court-approved recommendations of Justice R M Lodha panel on reforms in the cricket body. Sibal said there was some issue pertaining to certain provisions in newly approved constitution of BCCI which goes beyond the Lodha panel recommendations. “We will request P S Narasimha to hear you (associations) and then ask the BCCI to resolve them. The game must go on,” the bench said. At the outset, when the amicus said that several interim applications were pending in the court, the bench said it would like to hear the matter continuously and not on “piecemeal” basis. Initially, the bench suggested that the ombudsman may be asked to look into some pending issues which can be mediated among the parties. Later, the court said Narasimha can also do this work and appointed him as mediator. The counsel appearing for CoA and various other cricket bodies accepted the court’s suggestion to appoint Narasimha as a mediator to resolve the pending disputes. During the hearing, the bench also said, “The mediator should get some fees also”. However, Narasimha said, “I do not want any fees for this”. The bench also dealt with the application filed by the Maharashtra Cricket Association (MCA) about their stadium at Pune. “We are facing attachment from bank. Let them (CoA) pay money directly to the bank and ensure that stadium is not auctioned. The stadium has been attached,” Solicitor General Tushar Mehta, appearing for MCA, told the bench. Senior advocate Parag Tripathi, appearing for CoA, said they have received request from MCA on this issue last night and the committee will take adequate steps to protect Pune’s stadium. One of the advocates told the court that some officer bearers of Bihar Cricket Association has been allegedly caught on camera while demanding money for selecting players and FIR has also been lodged in the matter. The bench asked the CoA to look into this issue saying, “CoA seems to comprise of those who know the game. We will request you (CoA) as you are known at the moment, you have the credentials. You should look into it”. The court also dealt with the plea of Kerala Cricket Association which was seeking a direction to the registrar to register the amended bye laws which are in accordance with the apex court’s orders. The bench directed the concerned registrar to register the amended bye laws of Kerala Cricket Association. Senior advocate P S Patwalia, appearing for former BCCI president Anurag Thakur, said Thakur has filed an application seeking expunction of certain remarks made against him by the apex court in its earlier order. “I (Thakur) have been asked (by court) to cease and desist from associating with BCCI. I (Thakur) have dedicated my life for cricket. I have built a world class stadium in Himachal Pradesh,” Patwalia said, adding that contempt and perjury proceedings against Thakur have already been closed. The bench asked him to wait for sometime saying, “there is nothing urgent in this”. The court said that the matter will come up for hearing after Narasimha will file his report on the pending disputes. 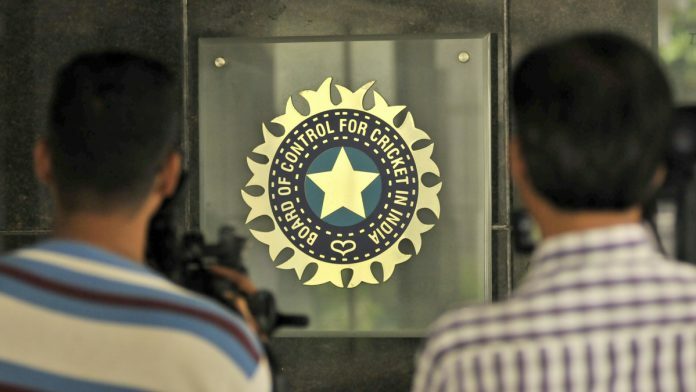 In 2017, the apex court had appointed CoA, headed by former Comptroller and Auditor General of India (CAG) Vinod Rai, to run the affairs of BCCI and implement the court-approved recommendations of Justice R M Lodha panel on reforms in the cash-rich cricket body.